Samsung Galaxy J3 (2016 model) is starting the month of April with a security patch update. No one was expecting this quick from Samsung. Well, it's all good anyway. The update is currently rolling out to Galaxy J3 (2016) units in Europe, and it's arriving with a new build number J320FXXU0AQC3. The patch update includes security fixes, some regular bug fixes as well as device optimization. As we all know the case with OTA roll outs, it might take some time for the update to hit your device. But if you can't wait for the OTA notification to pop out, you can manually check for the update by heading to your handset's Settings menu ==> About Phone ==> System Update. April security patch update hitting Samsung Galaxy J3 (2016) in Europe. 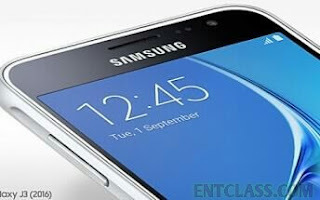 Samsung Galaxy J3 (2016) starts receiving April security patch update. Umph!! Samsung is hitting it big tyme... Need Xtouch to roll out a new update jae.. Since the update is mainly to increase phone security, not bad.